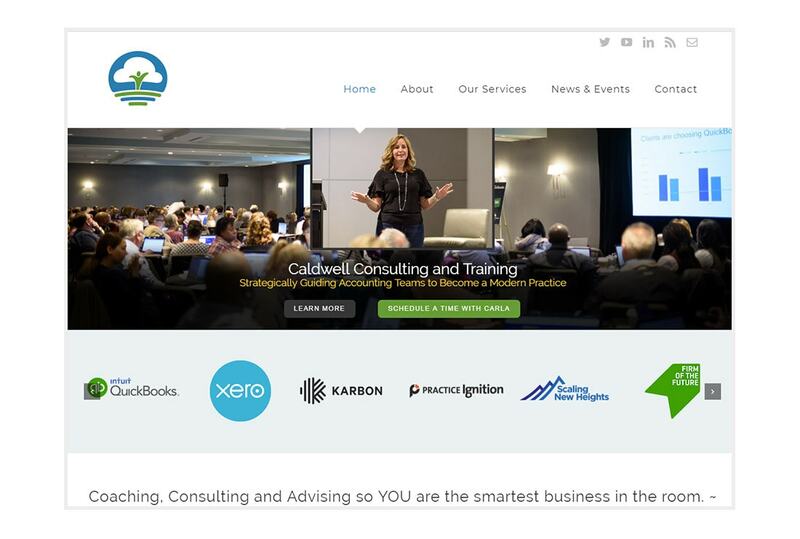 Caldwell Consulting & Training works with business owners (especially non-profits) to bridge the gap between growing business and specific accounting solutions. 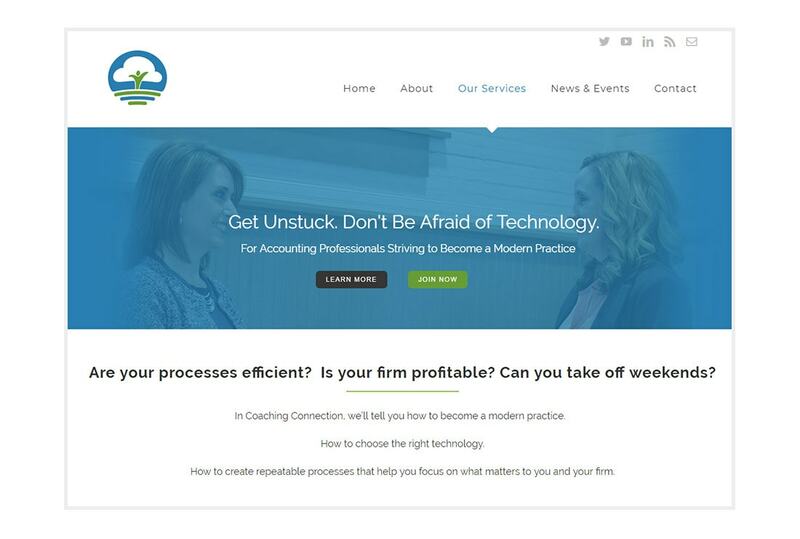 Founder, Carla Caldwell, helps accounting and bookkeeping firms implement the tools that help them be more successful – from value pricing and process development to the apps that support their systems. Carla is also a speaker on the Intuit Firm of the Future Roadshow and at Scaling New Heights, covering topics such as Firm Strategy, Change Management and Practice Efficiency. 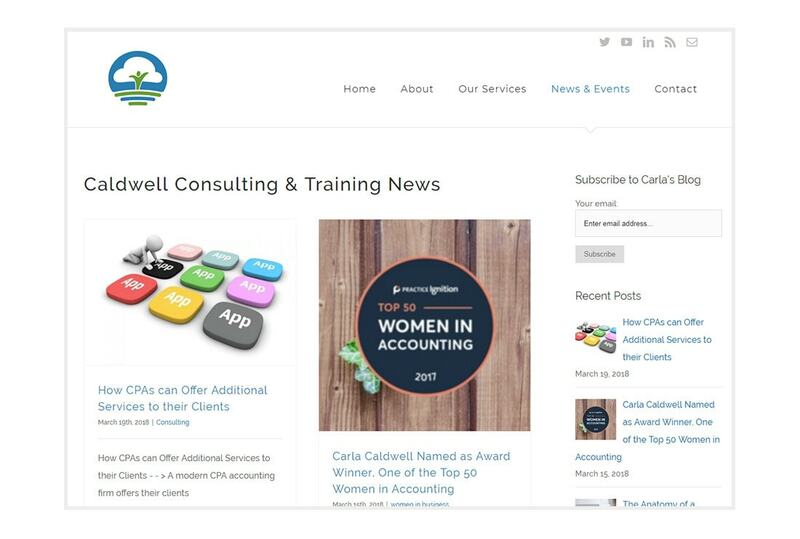 The original website for Caldwell Contulting & Training was designed on Squarespace. Migrating a website from Squarespace to WordPress involves several steps. During the migration process, many images were renamed to make them search engine friendly. Next, was to make each page and post search engine friendly by adding custom meta tags and renaming some pages. 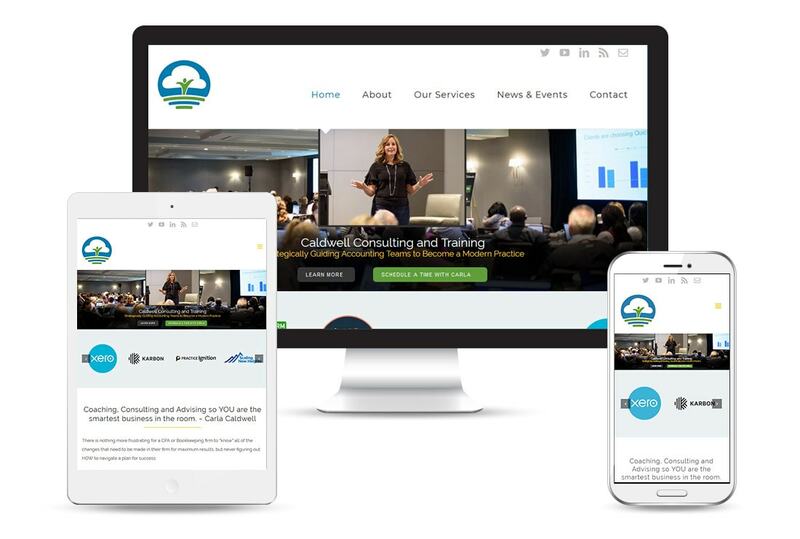 Once the migration hurdle was overcome, it was on to the fun part – building a beautiful website that reflects Carla’s personality and the specialized scope of her firm’s services. 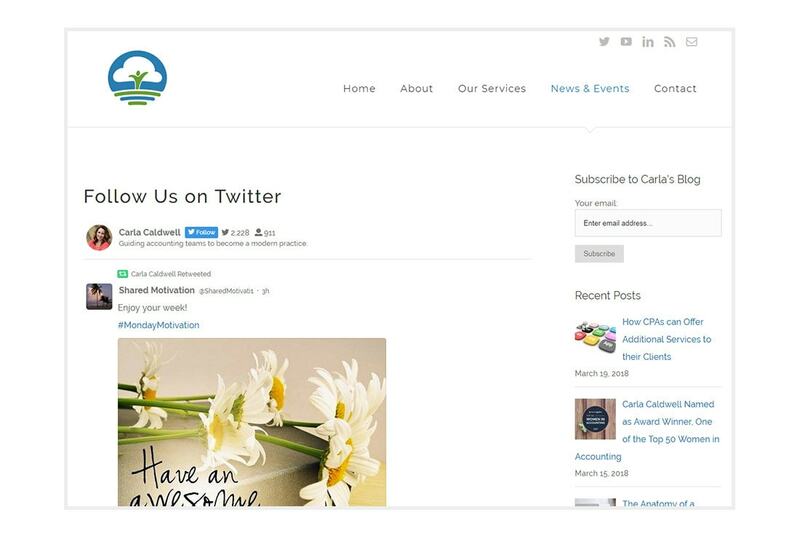 The completed site integrates with Carla’s Agile and features a custom Twitter feed.